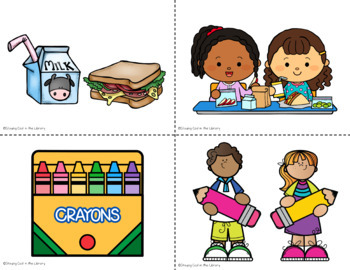 Have students sort the picture and or sentence cards under the correct column. If the picture shows something that they should do with the books it goes under the “Yes we do” column. If it is something they should not do it goes under the “No we don’t” card. 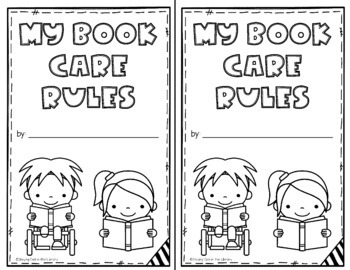 A minibook for students to color that reviews these book care rules. 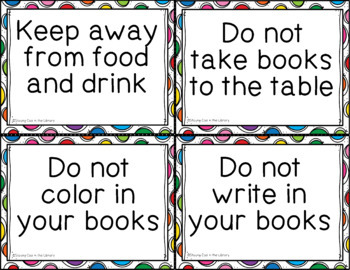 A promise page is at the end where students promise to take care of their books. 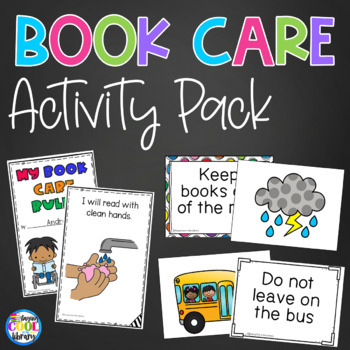 This product is part of my Book Care Activities and Reminder Notes.